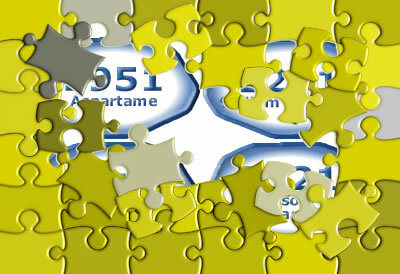 If everybody was affected by food additives in the same way, I probably wouldn’t have needed to write The Additive Puzzle. It all began with the mood swings and challenging behaviour of a nine year old foster boy named Sam, who was living with us at the time. I noticed that things seemed to be at their worst after he’d eaten or drunk certain foods, and by trial and error we eliminated certain additives from his diet - transforming his life, and ours! Since that moment in 2003 I’ve tracked and looked at research, and have now identified four key food additives to try avoiding. Some, like certain food colourings, are being eliminated from our food and drink but others, unfortunately, are on the increase. And although there has been a fair amount of investigation into the effects of the additives on their own, there’s only limited evidence of what I call the ‘cocktail effect’. Basically, no-one seems to know why combining additives gives a stronger effect. Since my discovery I’ve been quietly sharing my knowledge of additives with other parents and carers through my work as a foster carer, shared-lives carer and co-running a toddler group. Not only have I had the privilege and pleasure of seeing children of all ages have their lives transformed by avoiding just a few additives, but by default started to realise some adults too were finding it made a difference for them, even certain health issues seemed to clear up. Initially the most difficult task for me was to persuade people to try my ideas in the first place (especially people who seemed to be having a balanced diet anyway). When they found they just needed to change certain brands (often for cheaper versions) interest grew! 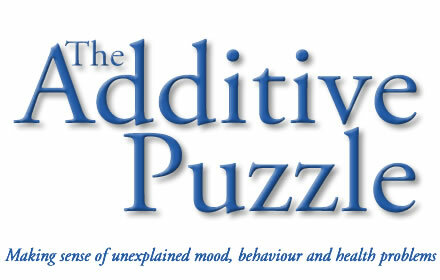 The growing anecdotal evidence and success stories I’ve received as a result of the advice I’ve given has helped me further piece together The Additive Puzzle. I don’t claim to have all the answers, but now I want to share my evidence and knowledge. The Additive Puzzle has been designed as a user-friendly, easy-to-read guide to help you make informed choices as to what food and drink you choose to buy. Hopefully with more evidence we can make the food industry sit up and take note!